At Money Saver Bingo you can find a selection of different games to play. It’s a friendly site with some good bonuses and the chance to win a nice 500 free spins welcome offer when you first join. Check out the rest of our Money Saver Bingo review to learn more on this brand and what’s available. UP TO 500 FREE SPINSNew Customer Offer. T&Cs Apply. 18+. Please Gamble Responsibly. Money Saver Bingo offers a good selection of different games, and you can also get a nice welcome bonus when you join. The Money Saver Bingo bonus for April 2019 gives you the chance to spin the wheel and get up to 500 free spins on slots games. This is an interesting bonus which is different to many of those found across other websites. Bonus codes are not necessary as the software automatically triggers payment into the account. First-time players can enter the Newbie Free Bingo room between the hours of 8pm and 11pm for additional bonus opportunities. This is a great chance for new members to play bingo for free at this fun site. Players do not have to worry about using promo codes to take advantage of four lavish promotions. Monday Madness is played in a room called Lucky Stars during happy hour from 4pm to 7pm with payouts earned with a win on one or more lines. Friday Night Takeaway is at 8pm with a prize of a £50 voucher redeemable for dinner at the restaurant of your choice. Weekend Wad keeps the action going with a full house win on either the 75 or 90 ball games. Winners get a share of a £300 payout. The most creative promotion of all is the 10 per cent cashback for every loss. Players receive a maximum of £50 deposited into their account at the beginning of the following month. Guests will not find free bets on this website, but four jackpots worth £100, £250, £500, and £2,000 instead. The wholesome game of bingo can now be played online from a desktop or smartphone at Money Saver Bingo. There are bonuses and promotions that add to the possible payouts. Players can get started with a quick and simple process with affiliation to 15 other sites including Empire Bingo, Charming Bingo, and more. Visitors complete a short form of required information followed by confirming the email address used to set-up the account. Built-in conveniences include having the join now and login button located at the top of every page. The signup bonus is not the only treat offered by this site. Guests can find more by clicking on the promotion link throughout the site. Classic 75 ball games have special rooms as well as a tab game feature. There are also 90 ball games available in the same format with a tab option. Speciality games include parties, tourneys, and chats. Chatroom communities are a great place to build friendships with players from around the globe. Guaranteed progressive jackpot bingo games and standard jackpots are available with payouts worth thousands of pounds. The Jumpman Gaming software is responsible for the awesome graphics and colours. They have done an impressive job with the 75 and 90 balls in their traditional configuration. The website software offers players freedom to change settings on profiles, chat rooms, and security features. Guests can login to take part in an invigorating bingo experience or cash in on promotions. The entire site is easy to use with help buttons that lead to support in several ways. Another brand on the same software is Fever Bingo which we have also reviewed if you would like to know more. Links labelled ‘make a deposit’ or ‘make a withdrawal’ are clearly displayed. Low minimums for both options are £5 and £30 respectively. 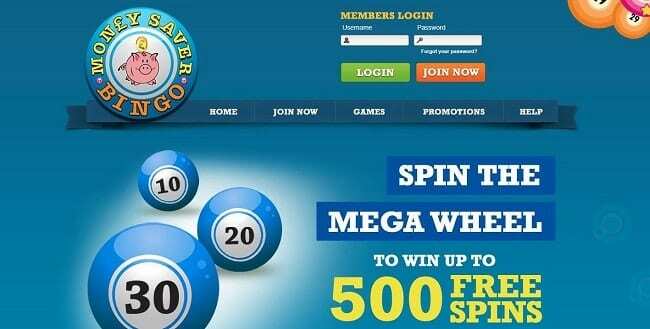 Another popular payment method which players like is Entropay for bingo and this can be found on many sites. Deposits max-out at £1,000 daily, £3,000 weekly, and £5,000 each month. Maximum withdrawals are £5,000 per day, £10,000 each week, and £20,000 monthly. Withdrawals can be cancelled within 48 hours of the initial request. A pending period of two days is followed by two weeks before the proceeds are returned to credit cards. All devices such as smartphones and tablets can access the site without an app. The software works with the same stellar quality. Players can take advantage of all games, bonuses, loyalty points, and promotions from any location. There are so many mobile bingo game apps around today as lots of players prefer using the sites on the go instead of sitting at their computer. Most of these are compatible with smartphones and tablets, and the ones without a dedicated app will usually have a mobile-friendly website which works on these devices. This site offers a good selection of games along with an interesting welcome offer to get you started when you join. We’d recommend trying it out if you enjoyed our Money Saver Bingo review and you want to find out what it’s all about.